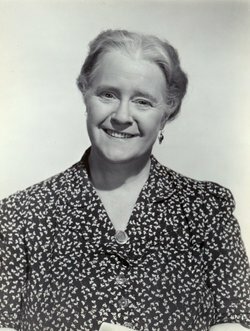 The well-loved character actress Mary Gordon – a veteran of over 200 Hollywood movies from the “Golden Age” – was a relative of mine (my great-grandmother’s cousin, since you ask). Here’s a link to a clip from the 2009 Glasgow Film Festival when we celebrated her life and career with a discussion and a selection of clips ..
What a great Hollywood connection. Always liked Mary. Have just seen a little B film from 1947 called Roses Are Red. Mary has a small part at the end of the film. Gosh, I don’t even recognise the title of that one – despite being a Mary expert! Thanks for your comment.